For the August meeting, the Damsels took on their most challenging book to date. They read I Am Malala by Malala Yousafzai with Patricia McCormick (Young Readers Edition). The book was over 200 pages long and most of the Damsels were able to finish it by the time they met. 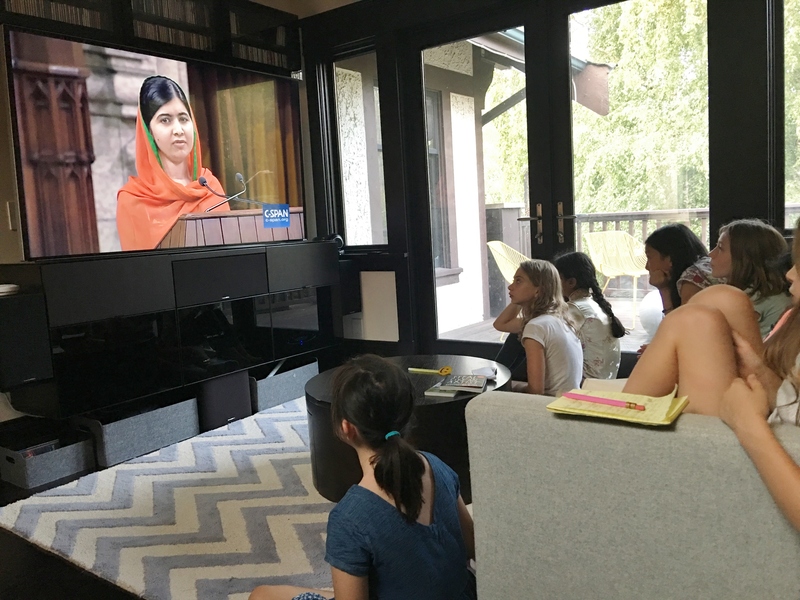 They also watched this BBC interview with Malala prior to the meeting. Ansuya was well prepared with questions and led a spirited conversation over dinner. Jewel kept time and Amélie took notes. The first question she asked her friends was “What spoke to you most?”. The group took turns sharing their thoughts and agreed that they are very lucky to go to such great schools. Next, Ansuya asked “What would you do if this happened to you?”. Most of the group felt that they would be scared and/or worried, but would continue to fight for children’s rights to go to school. Finally, they answered the question “How would you feel if you moved far from your home as Malala did?”. The girls all shared things and people they would miss. The Damsels then headed upstairs and watched Malala address the Canadian Parliament as she accepted their offer of Honorary Citizenship. They were particularly moved by her assertion that you don’t have to be as old as the young Canadian Prime Minister Justin Trudeau to make a difference. With that in mind, they headed back down to brainstorm an action. 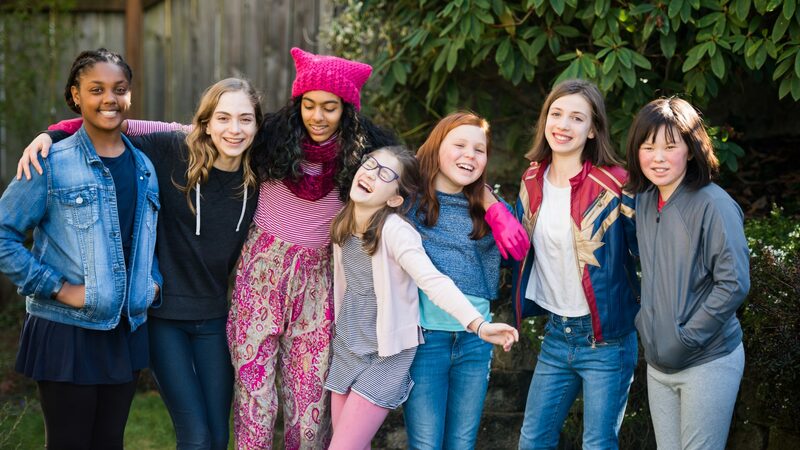 Some of the ideas that were shared included selling candles to raise money for the Malala Fund, donating to kids in need and writing letters to Malala herself. They decided to start by donating unused school supplies to Project Cool which provides homeless students with the tools they need to start the year off right. They will follow up with a letter to Malala to let her know how she inspired them. The Damsels managed to save enough time for some fun the backyard before heading home.